Bar and pub crawls are a global phenomenon that has been rapidly expanding in recent years without good digital platform support. PubRally answers this challenge with a professionally designed mobile app that connects crawlers to each other with an authentically digital experience. Available on both Android and iPhone, PubRally features an intuitive design that makes it easy to setup and join crawls. The app is primarily positioned as a marketing platform to be used by event sponsors and organizers; however, the app is also meant to be used by private individuals to setup their own crawls. PubRally won’t be nominated to win a Nobel Prize for science but the design-innovation is obvious, presenting an authentically digital pub crawl experience that people anywhere in the world can use. PubRally fuses chat, multi-media, and navigation into a single integrated experience that current users describe as effortless. 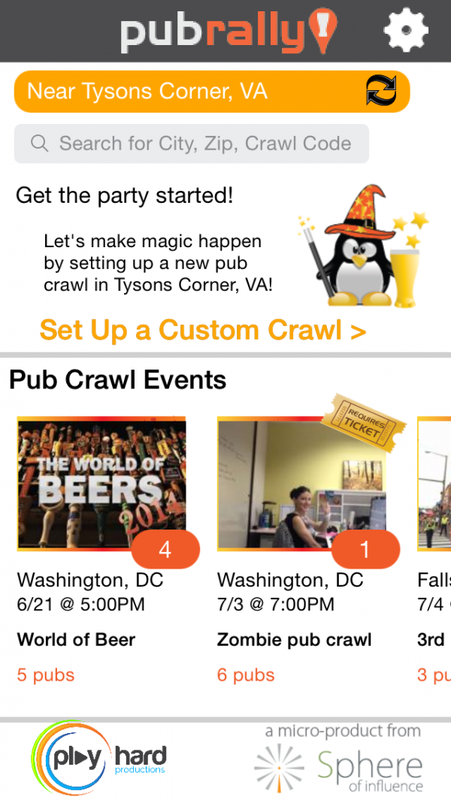 Organizing a pub crawl? No problem! Select establishments on pre-filtered map or add your own places. 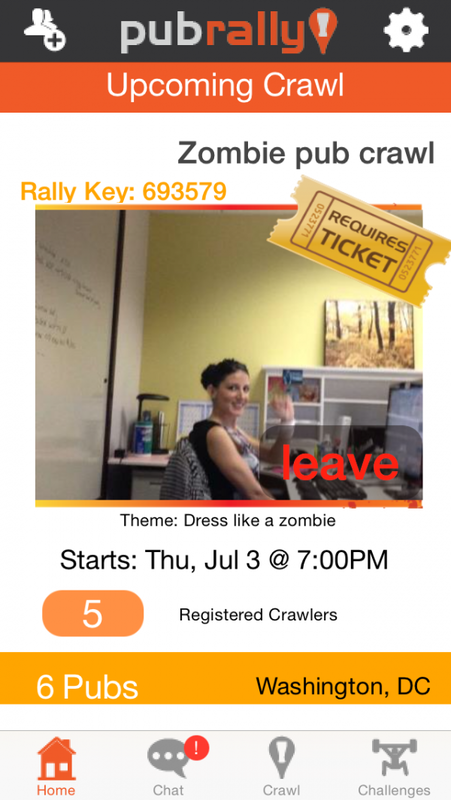 Once a crawl has been planned the app helps invite crawlers, enlisting them to use the app also. 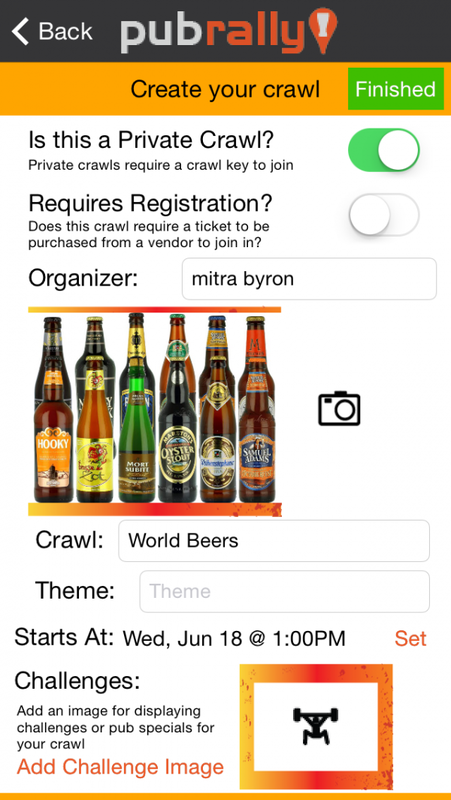 Crawls can be public or private, with easy tools for finding a public crawl. Anyone who has participated in a “non-digital” crawl knows how hard it can be to keep a group together with existing social apps and text messaging. That’s why PubRally introduced the “Rally” feature for herding the gang to a common rally point. You can also use a geospatial location tracking feature to find anyone in your pub crawl. 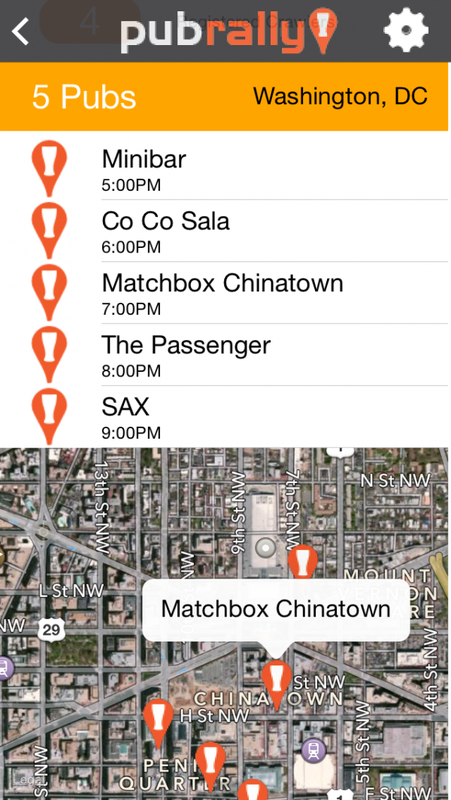 Location tracking is only available when a pub crawl is active, to protect individual security. 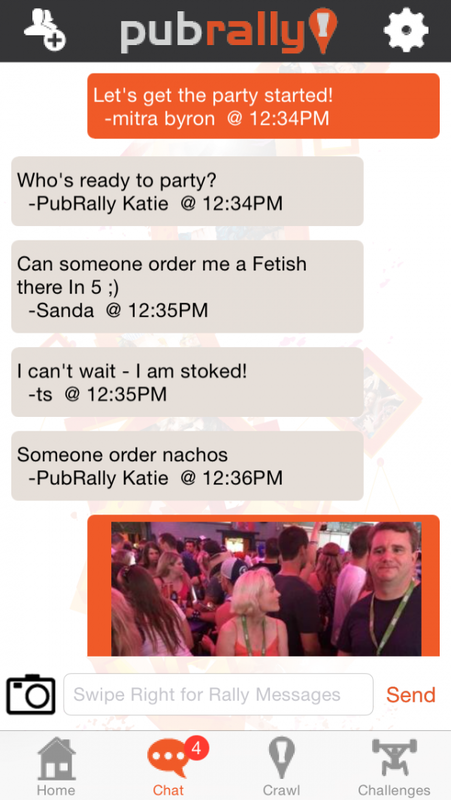 Unlike a generic social app, PubRally is specifically designed for pub crawls, making it easy for those who fall behind to catch up and easy for organizers to ensure a fun experience for everyone. The primary user experience begins the moment someone joins a crawl. From that point everyone can chat or share media with those participating in the crawl, even before the crawl starts. Once a crawl begins, the messages and photos continue to flow but now form a chronicle of the outing. PubRally’s user experience is highly interactive, blending geospatial maps and chat tools. PubRally is a natural fit for event sponsors and organizers, which are the intended paying customers. The marketing focus has been to position PubRally for partnering with these groups to give them a competitive advantage and at the same time increase PubRally’s visibility in this expanding niche vertical. Ultimately we see PubRally as a marketing platform for event sponsors as well as distributors and local establishments. PubRally requests access to contacts on the mobile device, but at no time does PubRally copy any contact information to external servers. Contacts are only accessed by the app when the user is inviting people to an activity, and only the mobile telephone number is used. PubRally also includes a Rally service where we use GPS coordinates to display a map of everyone at a bar crawl. This service is limited to the time period when the pub crawl is scheduled where the service becomes available at the start of the bar crawl and is unavailable once it ends. This category relates to applications themed around food and drink. Restaurant and bar reviews and guides would enter here.